Originally from New England, I find that Florida often surprises me with its knack of squeezing beautiful glimpses of nature in among the hub of civilization. 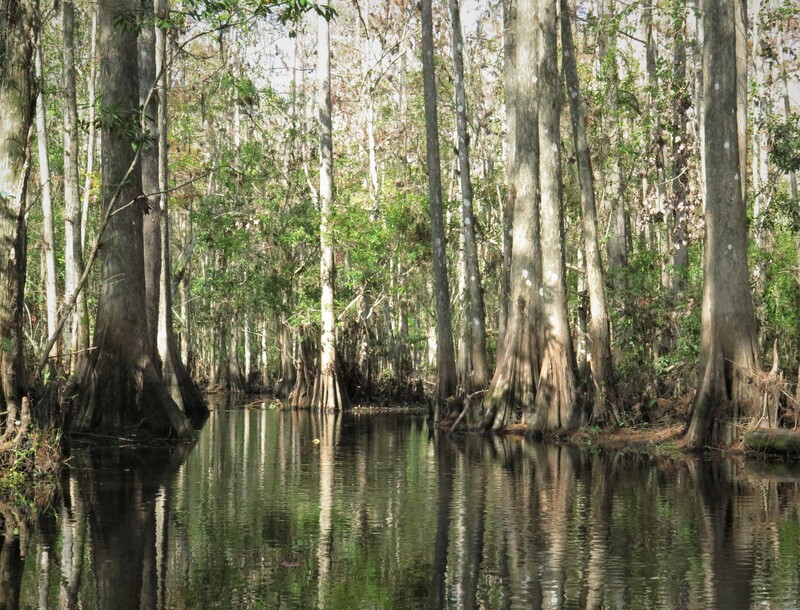 Shingle Creek is one of these surprising glimpses. I took exit 242 off the turnpike and drove west through the Kissimmee sprawl on US 192 for several miles. Finally, my phone nagged me that Shingle Creek was just ahead on my left. “You’re kidding me, right?” I responded, not believing. I must have entered the address wrong. However, I made a U-turn at the light and took a right as directed, driving down a short, cypress-lined driveway to the outfitter and put in. I rented a kayak from The Paddling Center at Shingle Creek and pushed away from the shore on the small, still creek, heading south towards the lake. At the point of my put-in at Steffee Landing, I would only be able to navigate two to three miles of the creek (north and south of my put-in), a three-hour paddle at the most. I paddled the creek, dead leaves fallen from overhanging trees floating on top the cool water. Although sounds of traffic and the local Kissimmee airport seemed to compete with the calming, rhythmic sounds of nature on the waterway, the wildlife appeared undisturbed. Birds sang from the trees and waded along the banks. Turtles sunned themselves on downed trees. I put my head back looking up to the clear sky, breathed in deeply, and decided to ignore civilization as well. 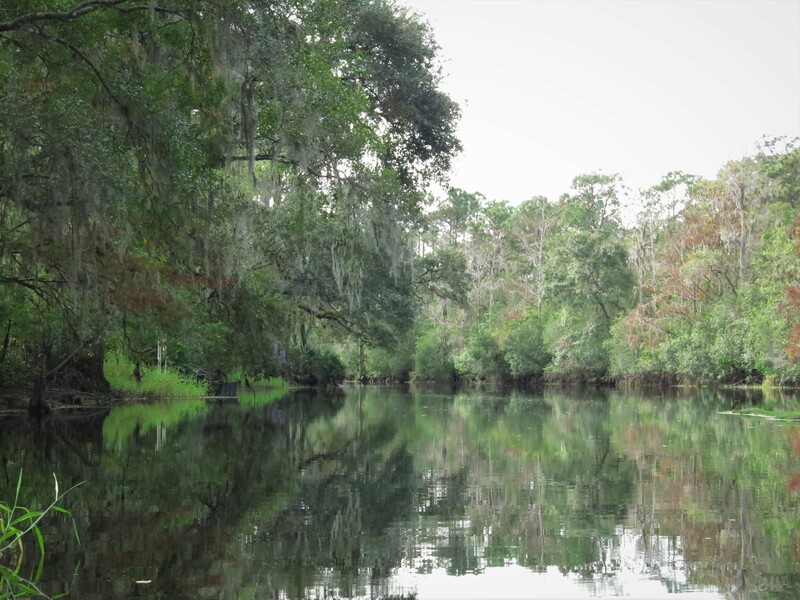 I focused on my surroundings—the dark water below me and the cypress, pine, and oaks along the creek’s banks. Nearing the end of the clear trail, a posted sign warned me to stop and turn around. I admit I ignored the sign and paddled another 15 minutes. The trail, now winding among the cypress trees narrowed further while the flow of the water picked up a bit. Another sign warned me that it was unsafe to continue—perhaps due to downed trees in the path. I paddled just a wee bit further before turning around, seeing the path blocked ahead. On my return paddle going north, I passed the outfitter and under the US 192 bridge. The creek widened here but was still bordered by tall cypress. A shorter paddle this time, I eventually came to another outfitter sign instructing me to go no further. I continued until the creek became impassable—just a short distance. Shingle Creek turned out to be a pleasant surprise and the perfect getaway—a two-hour paddled stretched into three for me. I found beautiful pieces of nature in the least likely place. I left reluctantly, spying the walkways and bike trails through the woods as I loaded my car, wishing I had time to linger.